Brenton Holston, 24, faces charges of resisting an officer and escaping an officer. CHICAGO — A man has been charged in a hit-and-run crash that left two women seriously injured in Lincoln Park last month, according to police and media reports. At 8:07 p.m. on Sept. 23, the women were walking on the street in the 1800 block of North Clybourn Avenue when a black Acura sedan hit them, said Officer Kevin Quaid, a Chicago Police spokesman. The driver of the Acura then made a U-turn in the middle of Clybourn Avenue and hit the women again, Quaid said. A 34-year-old woman's head was injured and she was taken to Northwestern Hospital in serious condition, Quaid said. The car used in the hit-and-run was found, but the driver had fled the scene, police said. 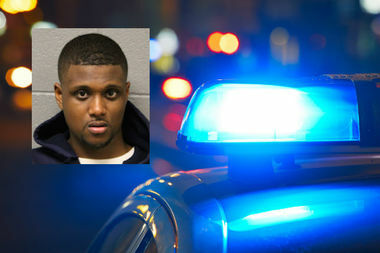 Brenton Holston, 24, was arrested on Sept. 30 in the 1700 block of South State Street in the South Loop, according to Chicago Police records. Holston, of the 2300 block of North Ashland Avenue, faces charges of resisting an officer and escaping an officer. During an Oct. 1 bond hearing, Holston was additionally charged with four counts of leaving the scene of a crash and two counts of aggravated reckless driving, according to the Sun-Times. He had already been arrested twice this year on domestic battery charges, records show.